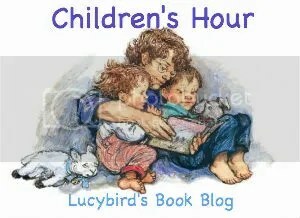 This is a great story for the children to join in with, and ‘read’ to themselves. The repeated refrain always comes at a fairly predictable time, and the kids love making all the different noises Mr Bear can hear too. It’s quite pleasant to read for the adult too. The story is simple, but entertaining, and the picture of a tired Mr Bear is rather funny. Jill Murphy, the author of Peace at Last is well known for being writer of The Large Family books which are also very entertaining. I think I prefer Peace at Last however.